An aussie indie dev is making a flight combat sim similar to the Ace Combat series. 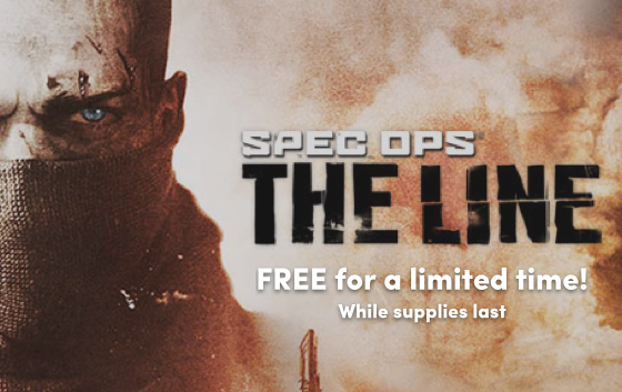 The game is currently free to download (or optional donation). Being made in Unreal Engine 4. This will be a real GPU cooker! 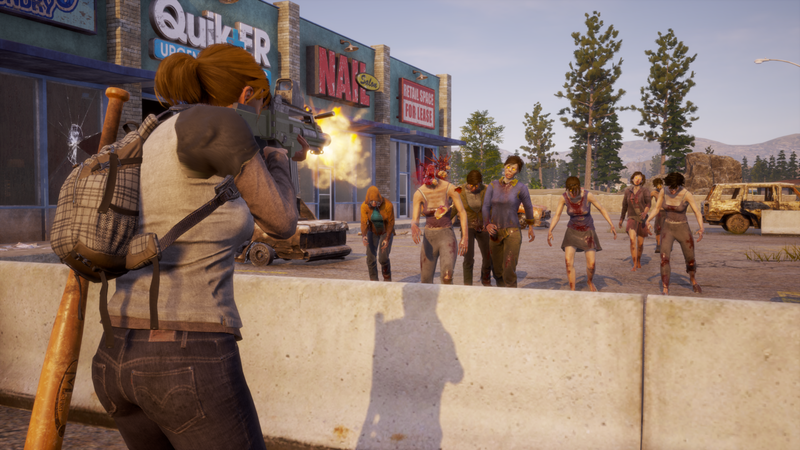 The developers of the open-world zombie apocalypse game for PC and Xbox One talk the many lessons they learned from the original, and how they made the next game bigger. I’m intrigued. This seems to be tackling what’s been missing from other zombie survival games - the people. 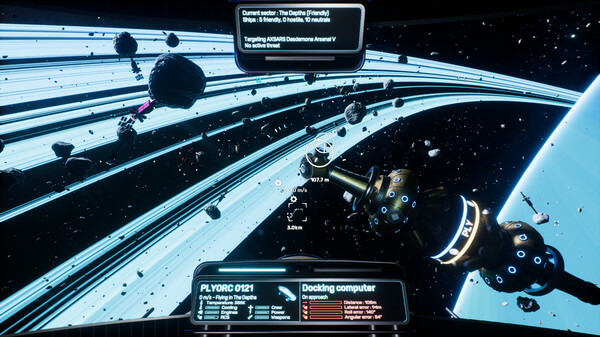 Helium Rain, the gorgeous space sim from Deimos Games is really quite good so it's a shame they've seen such low overall sales. Both the free open source games Zero-K and Battle for Wesnoth launched on Steam (here and there) last week. I highly recommend both. Zero-K started on the Spring engine, an attempt to port Total Annihilation in a new engine. Several TA port/remake forks, all-original art and years of refinement, it reached a rather mature (if decade-old-looking) state. If you played Total Annihilation, Supreme Commander or Planetary Annihilation, you won’t be lost. It is a steamlined version of the formula, with still hundreds of units, and with the ability to change terrain. If you haven’t played those, they are more macro-oriented RTS than a Starcraft or an Age of Empires. Economy is free-flowing - instead of up-front cost when starting to build, you have continuous production and costs, and the goal is to balance them. Similarly, units are reasonably smart (though efficient micro is relatively important at the start of the game), and the interface has tons of tools to help you direct the army. Also, there is no limit to unit count, and the biggest games can see absurd numbers of units running around. Everything costs the same metal, energy (the two resources) and time ratio. So you can balance your producton without it going to hell because you started a unit costing twice more energy per second to build, or taking twice as long for the same cost. Everything is buildable from the start. No artificial tech or building unlocks. Though building heavy- or super-units at the start is almost always a bad idea. By the time it is finished, your opponent(s) control most of the map, have a crushing economic advantage and can simply build counters to this one specific unit en masse. There are a dozen factories, but each one is viable by itself. Some are better on flat maps or with cliffs, but all have units filling all roles. They are different enough to make things interesting, though, and longer games often see players start building a second factory. To build faster, it is better to build general-purpose “assist turrets” near the factory, or to build constructors to assist it, than to build a second identical factory. The cost of a factory makes the added buildpower less interesting. This makes managing your unit build simpler. No arbitrary damage/resistance types. Anti-heavy units are good against heavy and bad against light, fast units because they have slow, high damage non-tracking projectiles, not because they do +50% damage against heavies. So you can guess the role of a unit simply by looking at it fight, instead of having to learn tables by rote. And now that it is on Steam, there is finally enough players to actually find games. There is also a rather big campaign for those who prefer single-player and/or want to progressively learn how to use the varied units. Battle for Wesnoth is one of the best turn-based strategy games ever made. While the art style may not be to everyone’s taste, I would still recommend trying it either way. It has an extremely mature gameplay and balance, enormous narrative campaign content, and even more content from users/mods. As above, it eschew complexity for ease of use, without sacrificing depth of gameplay. There are only a few damage types and resistances, units can only attack the adjacent tile at the end of their movement, hit probability is determined by terrain (which doesn’t give additional resistances)… However, again, there is enough unit variety and mechanics (each simple and intuitive by itself) to make things interesting, with great tactical depth. Also, it is translated in many, many languages. I cannot say for other translations, but the one in my native language is really good, with only a few elements from the last campaign still missing here and there. If you are into turn-based strategy, you most probably know it already, but the Steam release is a good a reason as any to try it otherwise, or to go back to it. 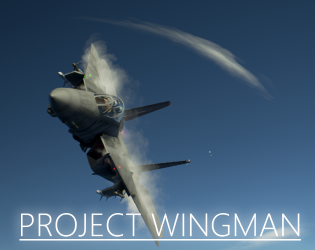 Project Wingman Kickstarter is now live. 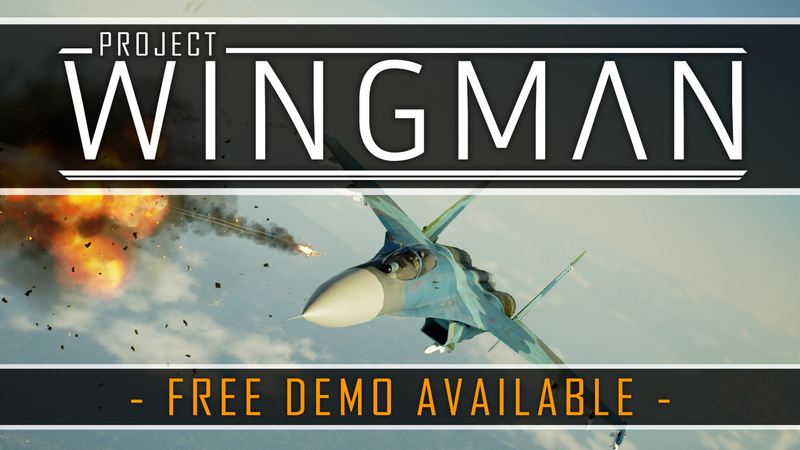 Played the demo some time ago, its just like ace combat, very nice. Also pledged already, gotta support them indie devs. Nice. I played the Ace Combat release on PSP, as well as a Hawk title. I’ll pledge when I have some extra cash. cool, does the demo have vr support?